We hear a lot about meal planning, but how can you do it in a way that keeps to your budget? Food can be expensive, and it helps to have a few money-saving tips before going shopping. 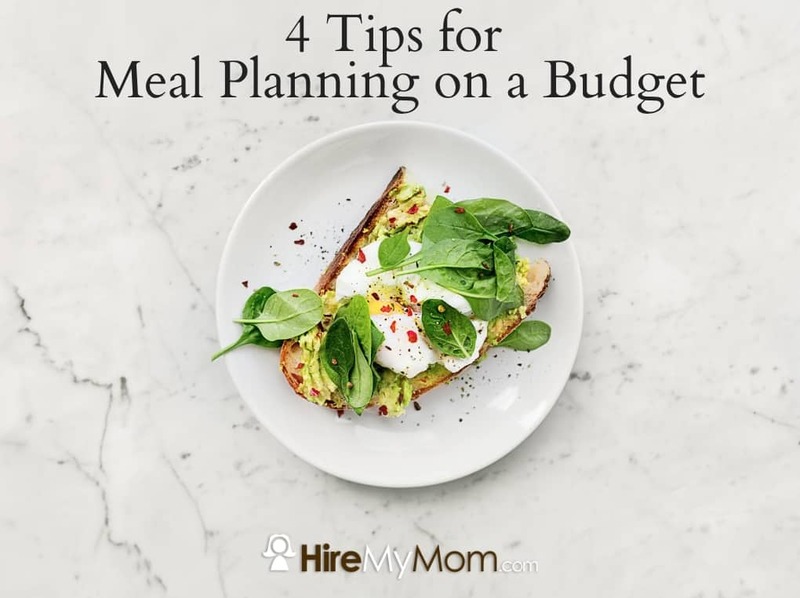 Read along for some of our tips for meal planning on a budget. The best thing you can do to save money is to plan. Map out each night with what you plan to make, and this will keep you on track. Purchase a wall or refrigerator calendar and simply note each meal at the beginning of the week. A bonus to this is that it can also keep you on a healthy eating schedule! When your food is planned, purchased and ready to go, you’re less likely to veer off of your plan. Fruit and vegetables that are in season are typically less expensive, as they’re easier for the stores to get. Grocery stores have to pay more to import items that aren’t local. To top it all off, seasonal fruits and veggies simply taste better! Click here for a guide to eating seasonally. By doing a simple Google search, you can find recipes that are inexpensive to make. Certain blogs are even dedicated to budget eating, so it’s not difficult to find those options. Many times, these recipes will give you a price per recipe or price per serving, which really allows you to budget accurately. These days, inexpensive doesn’t mean unhealthy either. There are plenty of options that incorporate fruits and veggies in a budget-friendly way, such as using frozen options. They still pack a nutritional punch while being less expensive than the fresh varieties. Even though you might schedule out your perfect week of recipes and meal planning, don’t forget about other types of eating! You might have dinner plans with a friend, a late meeting that will provide food, or simply the desire to have takeout once in a while. To save money, factor this in! You can eliminate a few grocery store dollars when you remember that you’ll have food elsewhere. Additionally, determine what’s reasonable for you and/or your family. If you eat larger portions, make sure to include that. If you’re often throwing food away or simply eating for one, reduce the recipe. It’s important to really take the time to lay out your week, meal plan around this, and choose foods that are friendly to your budget. If you stick to a routine like this, you should see a major difference in your food spending! At HireMyMom we want to help our Mom Professionals thrive in business AND at home. We often provide free online training as well as have some super work at home jobs posted by small businesses around the country. Learn more about our memberships and how you can join a supportive faith-based community of Mom Professionals!